A 40-minute ferry from downtown Auckland takes you to another world. Shay & I arrived at Maitiatia Wharf after sunset and found our way through the fields to Cable Bay vineyard using a cell phone flashlight. Cosying up by the fireplace in Cable Bay’s wine bar we missed the chance to do a wine tasting, but settled in with glasses of wine and a cheese platter. 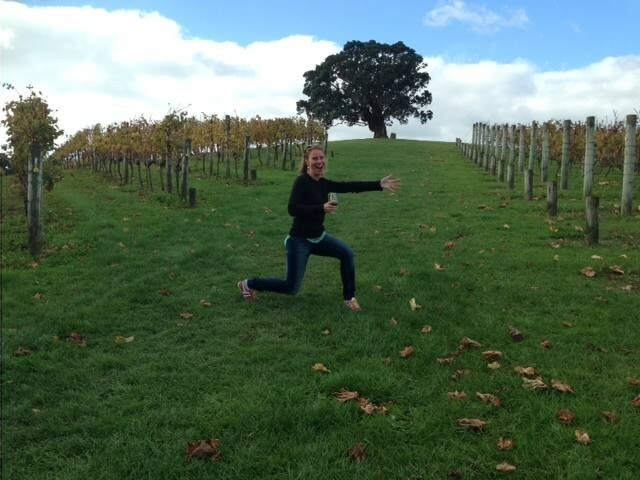 From there we walked to Vino Vino in Oneroa town where a senior citizen dance party was underweigh. Clearly Waiheke is a great place to retire! The next morning we got an early start finding the perfect spot for Shay to tape her workout video for Fast Fitness To Go on Little Oneroa Beach. Having worked up an appetite, we stumbled upon the adorable Cove Bites and Brews. Their shabby chic interior with a nautical vibe made me feel instantly at home. Looking directly over Oneroa Beach it is easy to while away an hour or three sipping beer and taking in the view. Cove’s selection of tap beers is always good and constantly changing. Their shells (tacos) are the most delicious deal in town. I have since made this a permanent stop on my trips to Waiheke. With full stomachs we hopped onto the Around Waiheke shuttle for our pre-booked wine tour and sampled a selection of wines from Waiheke and throughout New Zealand. 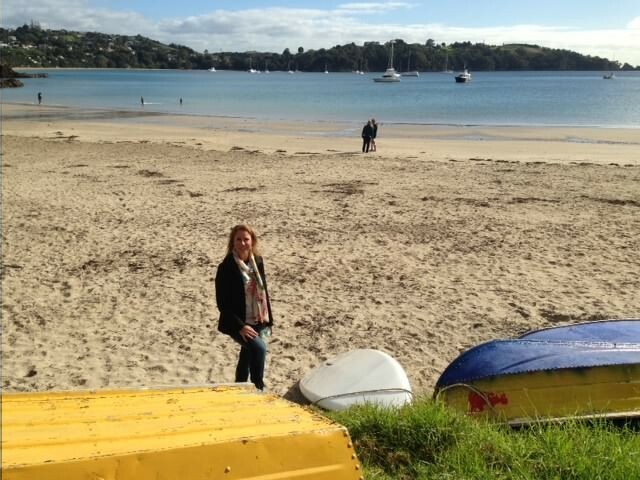 What I love about Waiheke is that it’s such a short trip, but feels a world away. I’ll be back soon! lunch at Cove Bites and Brews.